Light pollution is an issue in this great city of ours, but you can if you go to the right places still see some truly amazing sites. Many people will tell you that because of the lights, you cannot see anything! Well I have been stargazing for a good few years now and can tell you that it is honestly not true! People telling me that stargazing in Texas was no good because of light pollution was one of the reasons I did not get a telescope for a few years! McAllister Park is the first place that I want to talk to you about because while you can just grab your telescope, your warm pants and your thermos of coffee and make a night of it yourself. 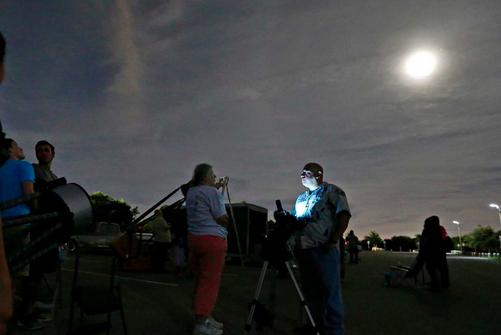 I was actually turned on to McAllister Park by the good folks at the San Antonio Astronomical Association. Like many stargazers I am not the best at knowing when the ideal time to actually go to a place is in order so that you can see the stars and any planets that are aligned enough. I quite often just wing it and go. But the San Antonio Astronomical Association organized a night of stargazing at McAllister Park and I honestly could not have been any more impressed. This usually happens on a Wednesday night so if you want to stargaze with some folks who know what they are doing I highly recommend this as I learned about quite a few other cool stargazing spots while I was here. Ok so this is about an hour’s drive from the heart of San Antonio, but it is well worth it. This is a fantastic and rather underrated park if you ask me. I have actually been here a few times during the day for a hike with the kids and we all had a great time. As far as stargazing goes though there is quite a few areas that would be ideal for stargazing here. The two times I have been the kids have been with me so we I did not want to go too far when it was dark. But we found a nice and clear spot that had a picnic table so we were able to make a night of it. One of the times we went we literally had the whole area we were in to ourselves which was really cool. So while it is a drive, I can honestly tell you that you can see the stars really good when you are here. I have heard some people say that they have even seen Mars from here. So that is something that I will have to certainly check out when Mars is in the right spot. Bullis County Park may not be the biggest or most talked about park, but as this is close to where I live it is a place I have actually been many, many times. 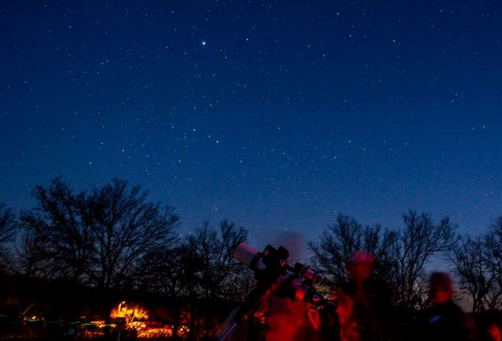 If you live close to Bullis County Park then this should be one of your go to places when it comes to stargazing. While this is a family oriented park there is still plenty of nice and quiet areas where you can set up your telescope and most of the times I have been here I have ran into a few other stargazers as well and in all honesty I think that is one of the reasons I like coming here so much. Sure the park is very nice and easy to get to, but the fact that more than a few other San Antonio stargazers like to come here makes it extra special. The park is much bigger than many people think and you can get quite high so if you are willing to go on a bit of a trek then you will be in for a fantastic night here. This is one of the more recent places that I have been and to be honest with you I was very impressed. Government Canyon has only been open to the public for a little over a decade so many of the trails and areas you will be walking to are still a little rough. As a matter of fact this is the kind of place you certainly want to visit during the day time first so you can get an idea of what is the best place for you and your telescope to call home for the night. I had a lot of fun here and while the spot I picked out was not all that far away from where I parked. This is one huge place and I am sure that there is just a ton of little areas that would be great for a night of stargazing action. One really cool thing about this place is that my first time here is when I saw Saturn and that is probably one of the coolest things that I have ever seen during my time as an amateur astronomer. Also the fact that this is only about a 20 minute drive from the center of San Antonio is a very nice bonus. Now I know that some of my fellow Texans will be saying I am insane for recommending Fort McKavett as it is a real trek from San Antonio (we did it in a little under two hours) but I really think this is a place that is worth going. To start with Fort McKavett is really cool and there is a lot to see and do here. So take the family, a good supply of food and drinks and make a real adventure of it. 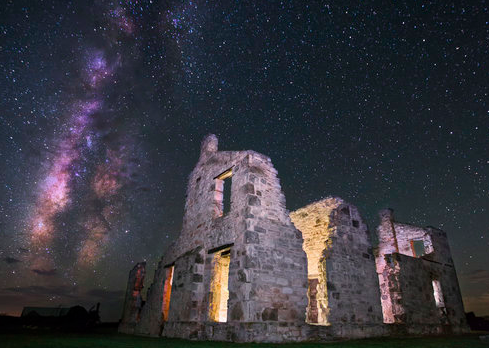 You can make it so you can explore the fort during the day and then take in the stars at night. 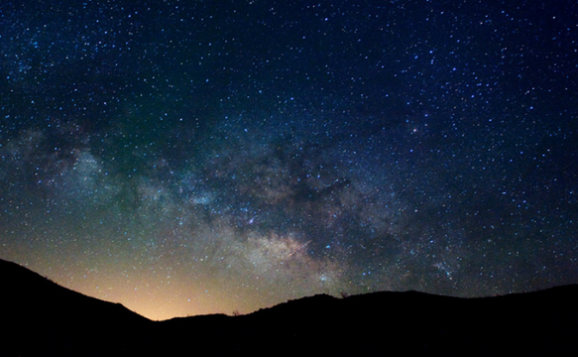 One really fun thing that you can do if you have kids is get them to pick the spot that you will be stargazing at. This is actually a very popular stargazing area so do not be surprised if there is a few other people there when you are. Again I know this is a bit of a drive, but if you have a family and want to share your hobby of stargazing with them then I cannot recommend this highly enough. Some of you may be really scratching your head at this one, but here me out. If you really want to learn about the wonders of the San Antonio skies then this is the place to come. 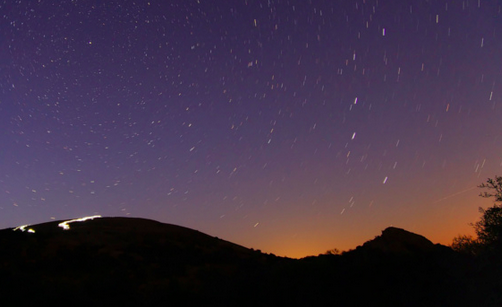 This is amazing if you are a newbie when it comes to stargazing. You are going to learn a lot here and the people are really nice so if you ask them what is a good place for you to take your telescope then they will be only more than happy to help you and give you some good advice. You do have to pay to come here, but the knowledge that you get is well worth it. If you have children then coming here is a must. I know that it certainly inspired my two boys and made them much more excited to go out stargazing. So while this is a bit of a strange choice on this list. 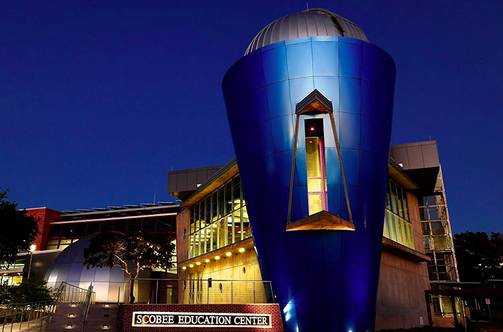 For any San Antonio native who is interested in the stars, you simply have to come here. Enchanted Rock by far has the coolest name on this list and the first time a buddy took me there I was sure it was the gateway to some alternate universe or some other cool sci-fi type thing. Instead I was treated to one of the most amazing nights of stargazing I have ever had. This is the highest I have ever hiked and the reason for that was that Enchanted Rock is just so easy to navigate, sure my buddy knew this place like the back of his hand. But I feel that even if I had just rocked up here on my own I would have been able to find a great spot very easily. This is around a 80 minute drive from where I live (close to the outskirts of San Antonio) and it is now one of my favorite places to go. Just a word of warning though. This place is insanely popular with stargazers so expect to find quite a few here when you come. Not that this is a bad thing of course as it is always great learning of new places to go from fellow star gazers.